Project Goal: A long time ago I wanted to do a video rocket with the camera out on a boom so you could see the entire rocket within view. If this goes well I may fly it a few times with up to an H power. The Boostervision DV cam is mounted out on a boom made of graphite and brass. 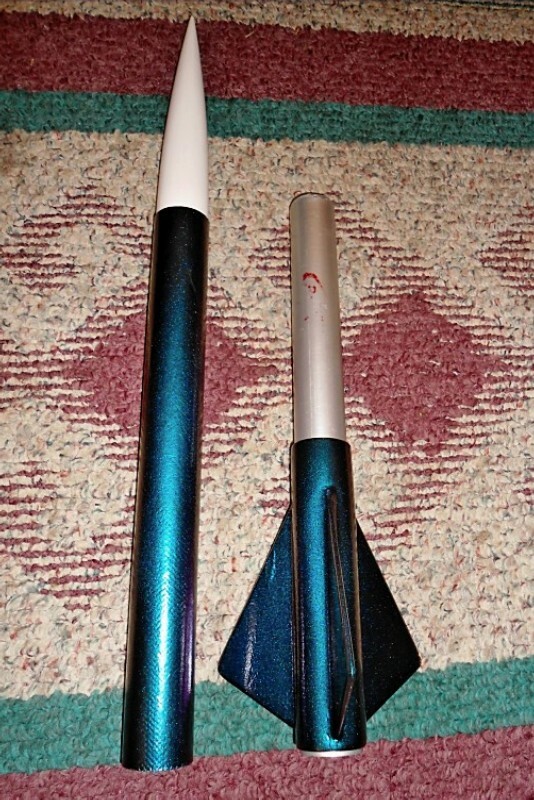 Project Goal: Two stage scale model of NASA Ares I crew vehicle (cancelled program, but still cool). 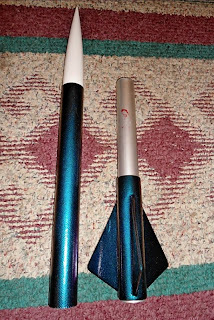 Rocket has two Estes A3-4T engines for stage separation. Ground tested OK but will they work? Both stages are dual deploy with a video camera (looking down) on the 2nd stage. Project Goal: Another classic flight in - with all cameras working and Mike Power at the controls! Project Goal: This is our attempt to claim the "Carmack 100kftMicro Prize" for an amateur flight above 100K'. We are attempting to claim the prize using commercial motors in a certified configuration while carrying a functional science payload based on a commercial smartphone. We adopted these constraints to further our goal of making 100K flights more accessible, repeatable, and affordable for the amateur community. 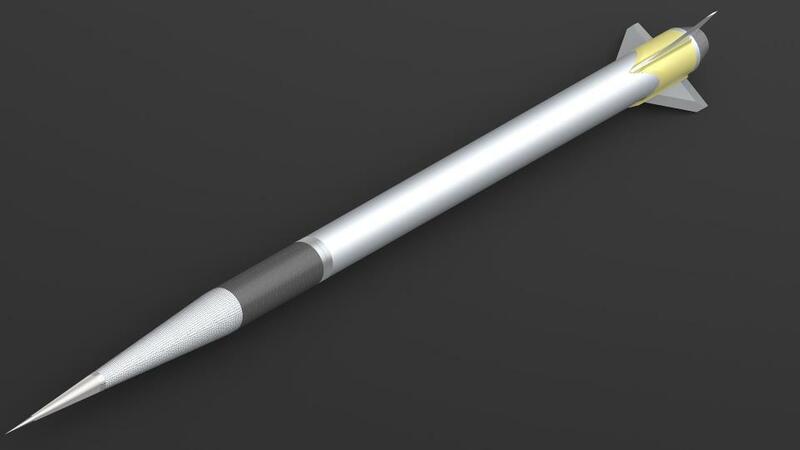 At the completion of the project, we will publish full documentation of our design and construction process and open-source our payload software. 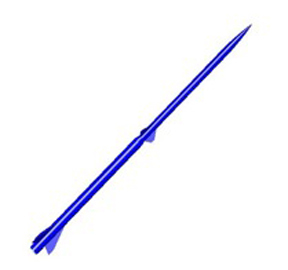 The airframe is a two-stage, minimum-diameter design (see attached). Construction is primarily of commercially-available fiberglass components with carbon-laminated fins. Motors: Commercial ACPC motors. Aerotech N1000 in booster staging to Aerotech M685 in sustainer. 24 second total burn time. 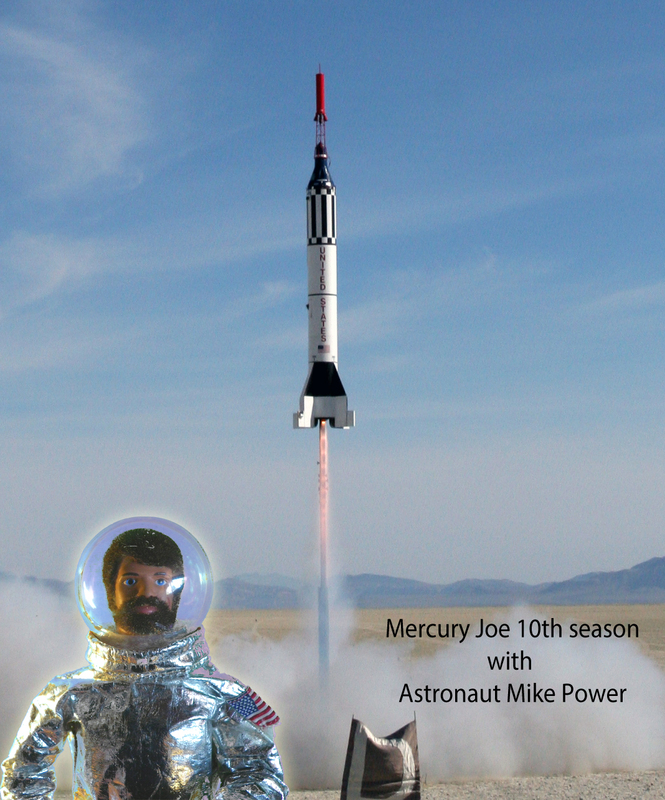 We will fly September 10-16, 2012. As part of our "repeatability" goal, we intend to make multiple flights weather permitting. We intend to webcast the video of the launch as well as real-time telemetry of the flight from the AeroPac web site. 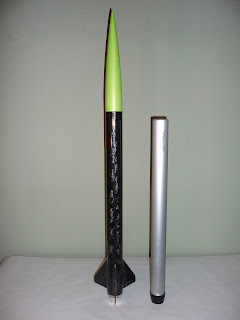 Project Goal: This is a rocket that I have scratch built and designed for extreme altitude. I will be flying it under the TRA Mentoring program, my father being my mentor. 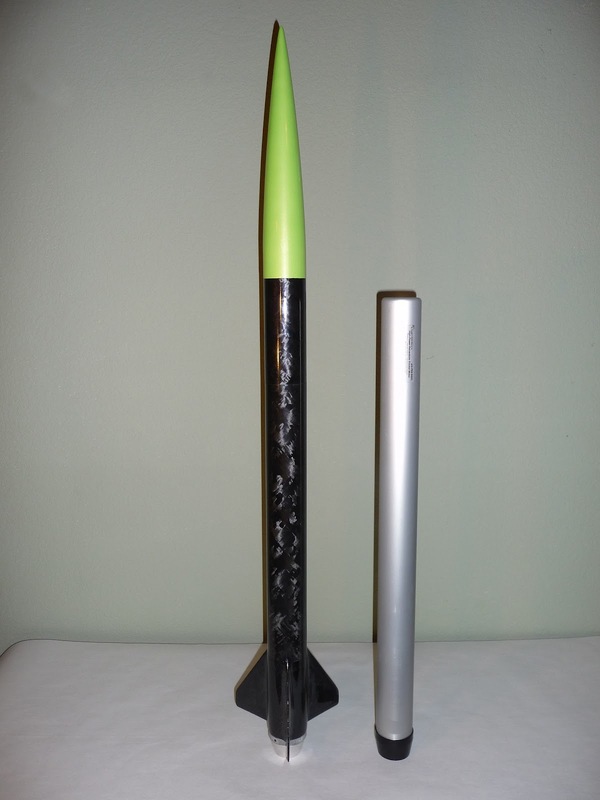 Senza Confini, is a "max performance" 54mm Carbon fiber minimum diameter rocket. Optimized for the Aerotech 54/2800 hardware or CTI Pro54-6Gxl hardware. (By utilizing an interchangeable length forward airframe section) It is only 38 inches in length, and weighs about 1.8lbs empty. We are expecting upwards of 27,000 AGL out of it on any motor fit for these hardwares (excluding Skidmarks). Project Note: Green light for flight pending a successful Re-cert L2 by my father after a short membership lapse. 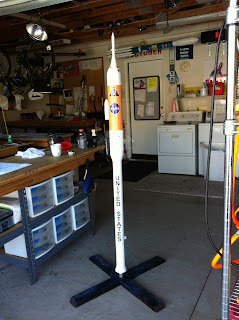 Project Goal: Tripoli N-class altitude record (for the CTI competition) and Carmack Prize Attempt.